LONDON, UK, November 21, 2012 (ENS) – Actions to limit climate change must be immediately scaled up and accelerated if the world is to have any chance of keeping a global temperature rise below two degrees Celsius this century, finds a new scientific report released just before countries meet for their annual climate negotiations. Current pledges of climate action by governments will result in a 3 to 5° C temperature rise this century without fast action, according to the report. Greenhouse gas emissions levels are now 14 percent above where they need to be in 2020, warns the “Emissions Gap Report,” coordinated by the UN Environment Programme and the European Climate Foundation and released today in cities around the world. Instead of declining, concentrations of gases like carbon dioxide, CO2, are increasing in the atmosphere – up around 20 percent since 2000, finds the report, written by 55 scientists from 22 countries. When government leaders gather in Doha, Qatar next week for the annual UN climate negotiations, the report warns that if they do not act quickly, emissions will be at 58 gigatonnes (Gt) by 2020. 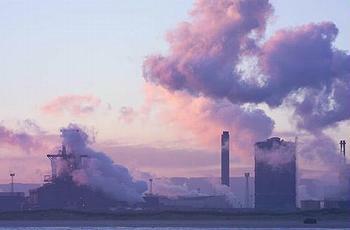 But global greenhouse gas emissions must be no more than 44 Gt in 2020 to lay the groundwork for the even bigger reductions needed to keep the world on the path to a two degree temperature increase, according to the scientists who wrote the current Emissions Gap report and the parallel UNEP assessments of 2010 and 2011. This difference between the 44 Gt emissions level needed in 2020 to avoid the worst consequences of climate change and the projected level of 58 Gt is known as the emissions gap. The Emissions Gap Report 2012 points out that even if the most ambitious level of pledges and commitments were implemented by all countries – and under the strictest set of rules – there will now be a gap of eight Gt of CO2 equivalent by 2020. This is two gigatonnes higher than last year’s assessment. Inaction will trigger costs likely to be at least 10 to 15 percent higher after 2020 if emission reductions are delayed into the following decades. “There are two realities encapsulated in this report,” said Steiner. “There are many inspiring actions taking place at the national level on energy efficiency in buildings, investing in forests to avoid emissions linked with deforestation and new vehicle emissions standards alongside a remarkable growth in investment in new renewable energies worldwide, which in 2011 totaled close to US$260 billion,” Steiner said. “Yet the sobering fact remains that a transition to a low carbon, inclusive Green Economy is happening far too slowly and the opportunity for meeting the 44 Gt target is narrowing annually,” he warned. In Doha, governments that are party to the world’s only climate treaty, the UN Framework Convention on Climate Change, UNFCCC, will attempt to agree on a legally binding global climate deal that can be finalized by 2015 and take effect in 2020. These talks are known as COP18, which stands for the 18th Conference of the Parties to the UNFCCC. Steiner said while these negotiations are underway there is a wide range of complementary voluntary measures that can that can bridge the gap between ambition and reality right now. “While governments work to negotiate a new international climate agreement to come into effect in 2020, they urgently need to put their foot firmly on the action pedal by fulfilling financial, technology transfer and other commitments under the UN climate convention treaties,” said the UNEP chief. There are potentially large emissions reductions possible from sectors such as buildings, power generation and transport that can more than bridge the gap by 2020, the report points out. Improved building codes, fuel standards for vehicles and avoided deforestation can help. “Governments meeting in Doha for COP18 now need to urgently implement existing decisions which will allow for a swifter transition towards a low-carbon and resilient world,” said Figueres. “This notably means amending the Kyoto Protocol, developing a clear vision of how greenhouse gases can be curbed globally before and after 2020, and completing the institutions required to help developing countries green their economies and adapt, along with defining how the long-term climate finance that developing countries need can be mobilized,” said Figueres. “In addition, governments need to urgently identify how ambition can be raised,” she said. 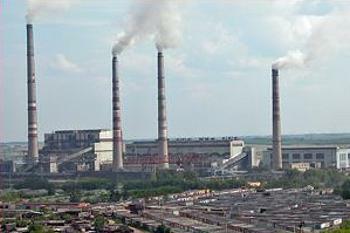 The report looked at sectors where the necessary emissions reductions may be possible by 2020. The greatest reductions could come from improved energy efficiency in industry, which could deliver cuts of between 1.5 to 4.6 Gt of CO2 equivalent, the report finds – followed by, in decreasing order: agriculture, 1.1 to 4.3 Gt; forestry 1.3 to 4.2 Gt; the power sector, 2.2 to 3.9 Gt; buildings 1.4 to 2.9 Gt; transportation 1.7 to 2.5 Gt, and the waste sector 0.8 Gt. Some sectors have even bigger potential over the long term. Boosting the energy efficiency of buildings could deliver average reductions of around 2.1 Gt by 2020 but cuts of over 9 Gt by 2050. “This implies that by 2050 the building sector could consume 30 percent less electricity compared to 2005 despite a close to 130 percent projected increase in built floor area over the same period,” the report states. Further emission reductions are possible from more energy efficient appliances and lighting systems. Potential emissions reductions from the transportation sector are assessed at two Gt of CO2 equivalent by 2020. The report notes that there is already a shift with the eight biggest multilateral development banks at the recent Rio+20 Summit pledging US$175 billion over the next decade for measures such as bus rapid transit systems. Combinations of improved vehicle standards and programs to scrap old vehicles can help. The report says approved and proposed new standards in seven countries including Australia, China, the European Union, South Korea and the United States are expected to reduce fuel consumption and greenhouse gas emissions of new light-duty vehicles by over 50 percent by 2025 from 2000 levels. “Although it remained under-utilized, “avoided deforestation” is considered a low cost greenhouse gas emissions reductions option,” says the report. Policies to assist in reducing deforestation and, thus, greenhouse gas emissions, include establishing protected areas such as national parks to economic instruments such as taxes, subsidies and payments for ecosystem services. The report cites Brazil where a combination of conservation policies and reduction in agricultural commodity prices has led to a decrease in deforestation by three quarters since 2004, avoiding 2.8 Gt of CO2 equivalent between 2006 and 2011. Protected areas in Costa Rica now represent over as fifth of its territory, avoiding deforestation, reducing greenhouse gas emissions and triggering a rise in tourism.